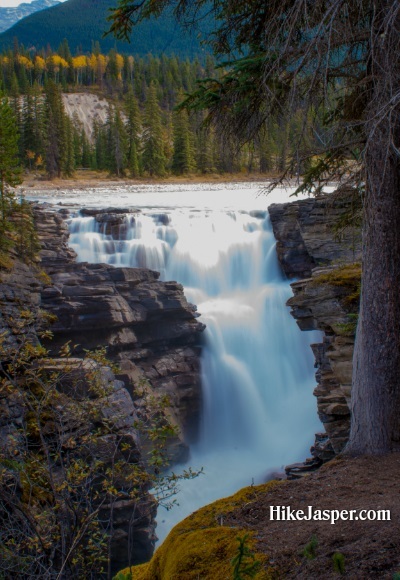 A Class 5 waterfall, Athabasca Falls has a drop of 80FT (24M) and a width of 60FT (18M). 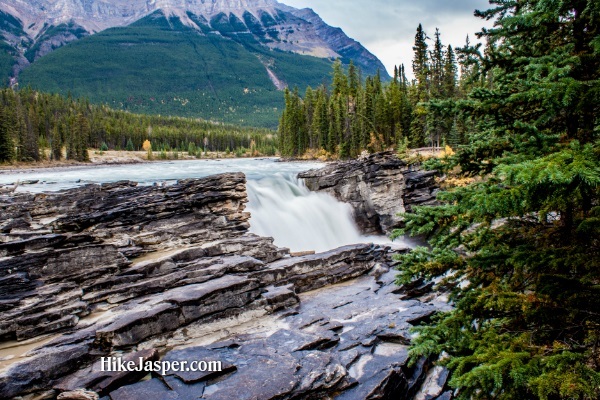 Jasper National Park's Athabasca Falls are not considered the highest or widest waterfalls in the Canadian Rockies, but are considered the most powerful. 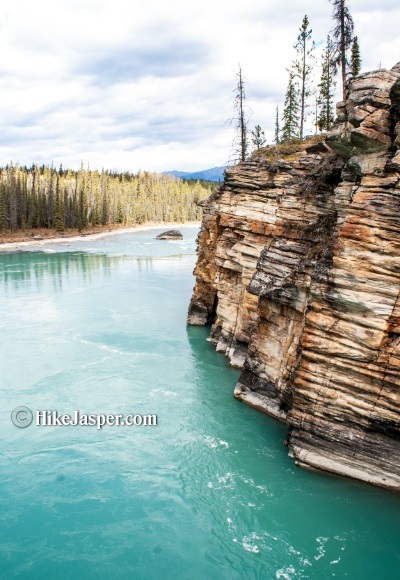 Hiking Time Plan to spend about 1hr to hike, view and fully enjoy Athabasca Falls. 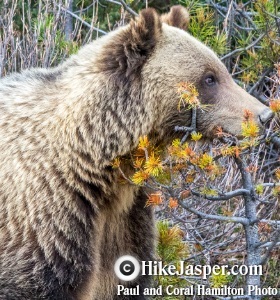 Travel south of the townsite of Jasper, Alberta, and down the Icefields Parkway 31 km (20 min) to the junction of Hwy 93 and 93A. 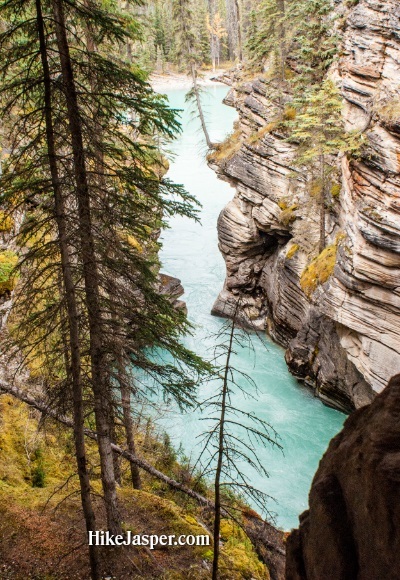 Designated trails allow you to feel the spray of the Athabasca River as these falls thunder into the canyon 24 meters below. 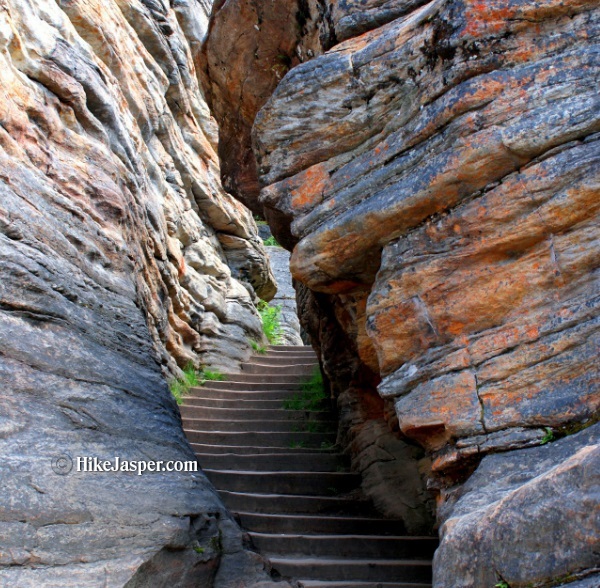 The rocks beyond the railing are slippery and very dangerous, so please stay within the designated hiking areas. 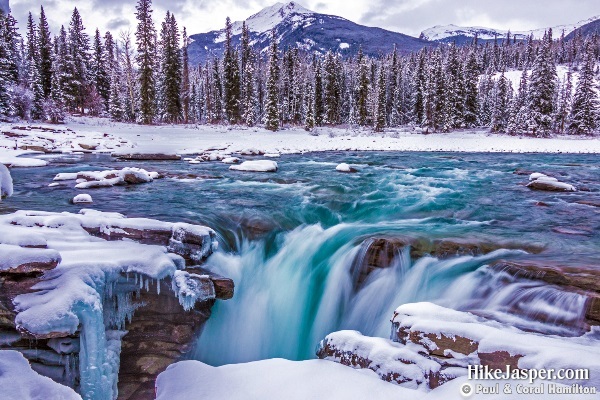 Athabasca Falls are an extremely powerful, picturesque waterfall to witness. 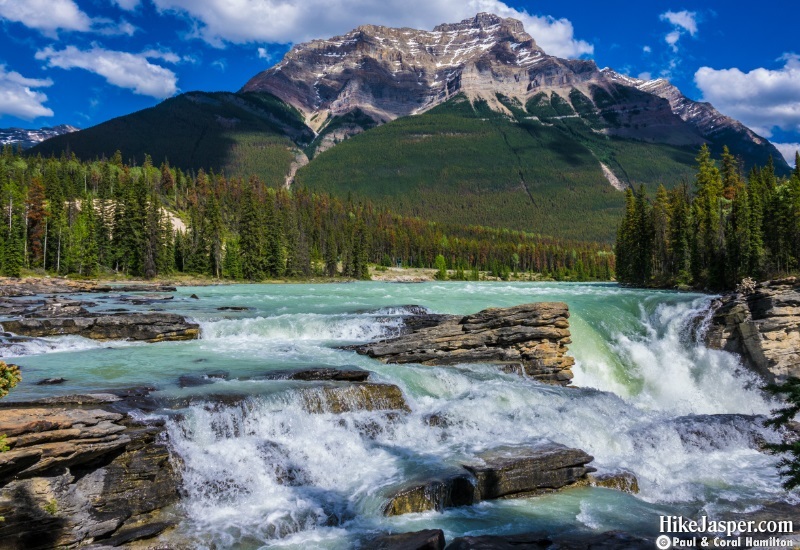 Athabasca Falls are known for their strength due to the large quantity of water. 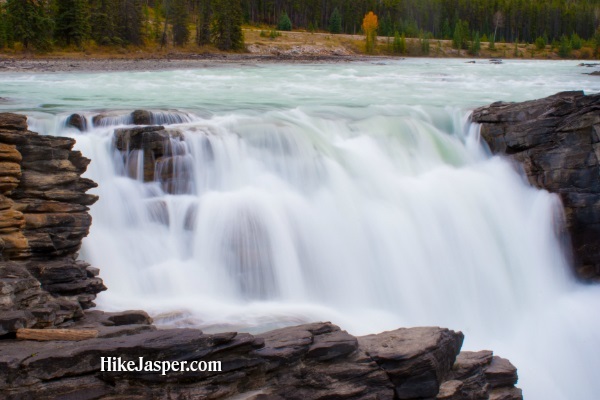 Even when Athabasca river levels are at their lowest in the autumn, large amounts of water still flow over the falls. 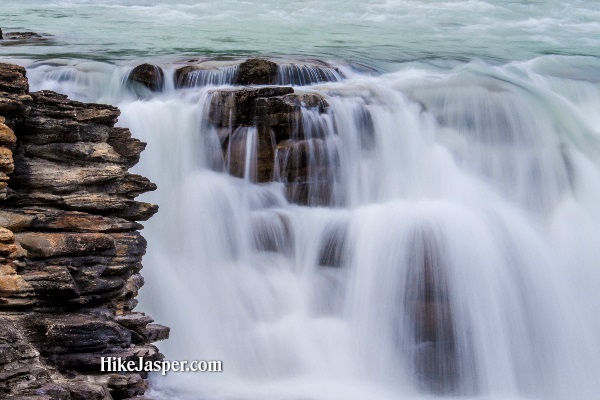 The Athabasca river falls over hard quartzite and through softer limestone, carving the shorter gorge and a number of potholes. 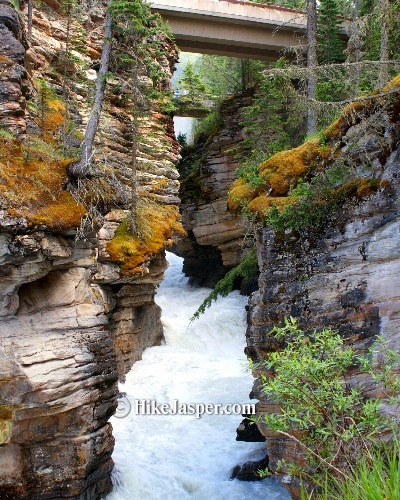 Athabasca falls can be safely viewed and photographed from numerous platforms and hiking trails around the falls. 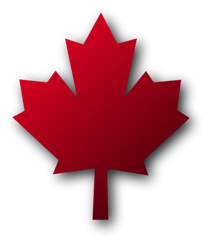 Access is from the nearby parking lot, which leads off Highway 93A just northeast of the falls. 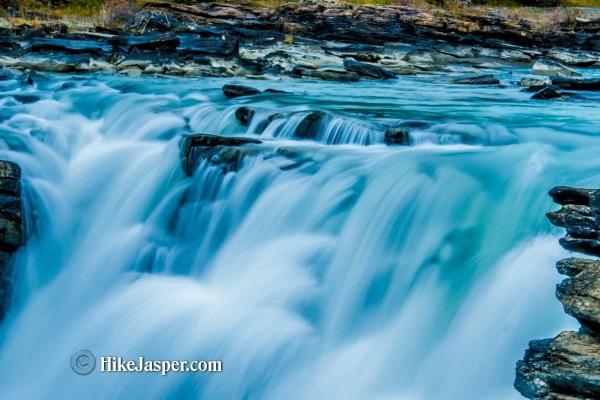 Highway 93A takes off from the nearby Icefields Parkway, and crosses the falls on the way north to the town of Jasper.